The president can veto legislation created by Congress and nominates heads of federal agencies. Congress confirms or rejects the president’s nominees and can remove the president from office in exceptional circumstances. The Justices of the Supreme Court, who can overturn unconstitutional laws, are nominated by the president and confirmed by the Senate. 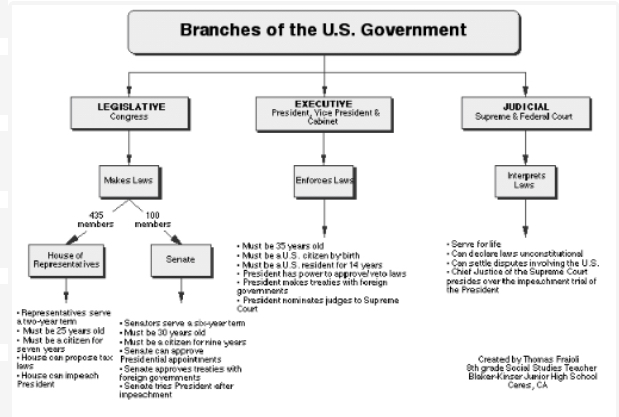 This ability of each branch to respond to the actions of the other branches is called the system of checks and balances.